Are Eritrea’s young people saying enough is enough? Credit: David Stanley. However, that does not mean there is no opposition to the regime in the country. They may be disconnected from one another and uncoordinated, but 31 October was not the first time “a group of teenagers” has expressed its frustrations and openly defied the all-powerful Eritrean government. The plight of Eritrea’s youth is well-documented. Facing indefinite military conscription and a lack of jobs, the youth are fleeing the country in droves only to be stranded in the neighbouring countries or faced with the risky journey across to Mediterranean. Even the sons and daughters of the ruling elite try to escape the country, including the youngest son of President Isaias Afwerki. They would prefer to cut ties with their parents and risk living as destitute refugees than remain in Eritrea. Of course, not everyone leaves. Some stay happily. But for the many disillusioned young people who remain in the country, there is the feeling of a deepening divide between their generation and the governing system. Recently, this has manifested in a number of under-reported clashes between protesting youth and the government. The regime attempts to suppress such incidences, which is made easier by its restrictions on international media. This means that these events largely remain confined to those directly affected, but they could have a much broader significance. Despite continued repression and an education system set up to produce obedient citizens, Eritrea’s youth currently seems to be the only group ready to openly confront the regime. Young people in national service have reportedly booed officials coming to conduct seminars and killed commanders’ goats in protest. The class of 2013 was reportedly particularly insubordinate. According to students and an internal report that was leaked, many of that year’s intake was punished for their defiance by being told they would be recalled to the military training centre Sawa after their exams. They were told to prepare for a long walk. That night, however, hundreds of students fled. Soldiers were deployed to lock down the camp. Those who remained – more than 12,000 – were rounded up and forced to travel on foot for over 21 days. The report says two students drowned crossing a river, while another two died from snake bites. On arriving at their destination, the group was put in open prison camps without proper shelter. 34 more died, while there were 17 unwanted pregnancies. This year, there was news of similar collective resistance. In July, 6,000 students were reportedly deployed to Adi-Halo where President Afwerki is attempting to establish a college of agriculture and machinery. However, there was allegedly no proper lodging to accommodate the students, many of whom were assigned there involuntarily. They believed they were brought there to work on Afwerki’s projects in the area. In protest, they started leaving rocks on the road the president takes to his office in Adi-Halo and demanded he address their concerns. When the military intervened, the unarmed students openly challenged the guards. In October, tensions escalated and protesters began throwing stones at them. The Eritrean opposition radio Medrek reports that the military responded by forcibly moving the students to Naro in the far north for military training. These isolated but notable incidents suggest that the protest in Asmara last month was unique, but not unprecedented. In that demonstration, hundreds took to the streets of the capital in defiance of the regime’s repressive rule and in anger at its decision to wield greater control over the education system. Once again, many of them were students. These acts of insubordination suggest that many young people are now saying enough is enough. There does not seem to be coordination around a collective movement. But in the face of clear threats and repression by the regime, and in the absence of an organised opposition, groups of youth may be beginning to take matters into their own hands. Knowing no-one will instigate change for them, frustrated young people may be feeling a greater sense of ownership over their own affairs and future. If they do continue to mobilise, they may nevertheless find support amongst their as yet quieter compatriots. In Asmara, police sent to disperse the protest reportedly told demonstrators that they share their grievances and refused to fire on them. That is reportedly how the protesters managed to get so close to the Office of the President. It was there, however, that Special Forces fired on them in a show of violence that leaves those who would question the regime in no uncertain terms about what they ultimately are up against. Dream on man, dream on. You can use your writing skills to make money out of writing fake news against the Eritrean government for people who have bad wishes against Eritrea at heart. 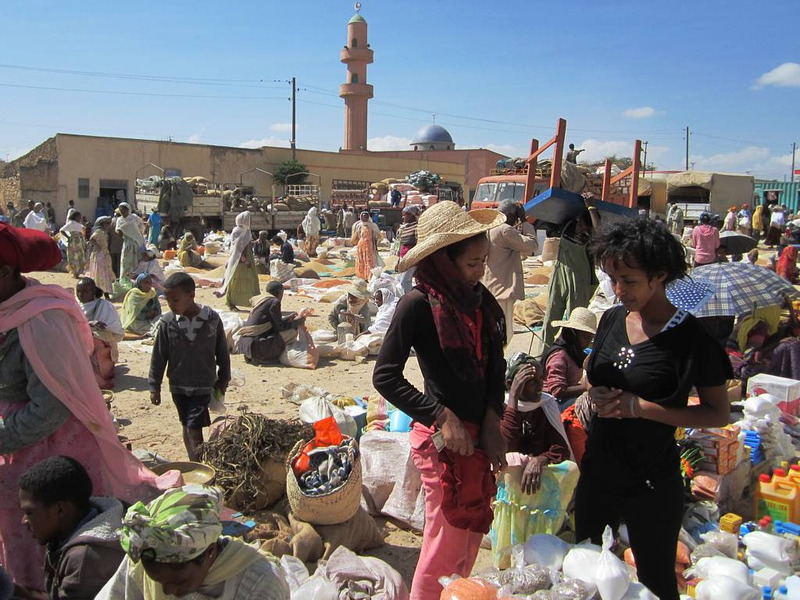 Incidents of protest are indeed not unusual in Eritrea. This author’s report of individuals speaking their mind and engaging in casual acts of civil disobedience, even against the president himself, in response to perceived wrongs is very helpful in dispelling the notion that Eritreans are a cowed, pathetic population incapable of expressing their views. The Eritrean government is also more sensitive to public opinion than is commonly understood – and in the two or so years that I’ve been traveling there, has chosen on a number of occasions to quietly backtrack on policies (particularly economic policies) that stoked discontent. The indisputable fact is that Eritrea is a poor country that is financially incapable of the type of surveillance and repression that has taken place next door in Ethiopia (the 5-to-1 system). When it comes to the PFDJ’s continued rule, it is really is time for a more sophisticated explanation than the utter helplessness of the Eritrean people. For every action, there is an equal amount of reaction. Friction tells it all. Moving an object on a flat surface creates an amount of negative force to counter the move meets a huge force caused by friction. Life in Asmara has been equally met resistance from students.The regime deals with them mercilessly. So it is natural for them to show some resistance against the regime and at the end la Lucha Continua. wishfool thinking, Eritrea’s youth is powerless and youth does not live on hope alone. kids talk about British soccer and girls, and survival or connections abroad, that’s all. how can an event be _unique (one of a kind) but not unprecedented? Duh. Are you serious? Even the sentence “…against the nationalisation of an islamic school” is ridiculous and severly biased… Schools should always be nationalised and independent from religion of all sorts. but there is something big about to fall . The Eritrean Government, may seem in dispensable, the matter is fact is the protest in akria is a steping stone. You will see with in the next 2 -3 years Similar in bigger version of the protest will take place..in turn will tople the dictator issyas afeworki. Henry, your comment is unique in just how silly it is. But yours isn’t the first confused statement to be posted here. It’s hardly unprecedented. Lack of representation, constitution and the right to petition one’s own government due to the barbaric, totalitarian and illegitimate nature of the regime of Isaias Afwerki is the cause of Eritrea’s problem. I’m surprised BRONWYN BRUTON does not seem to appreciate the basic nature of her own country: these great United States.